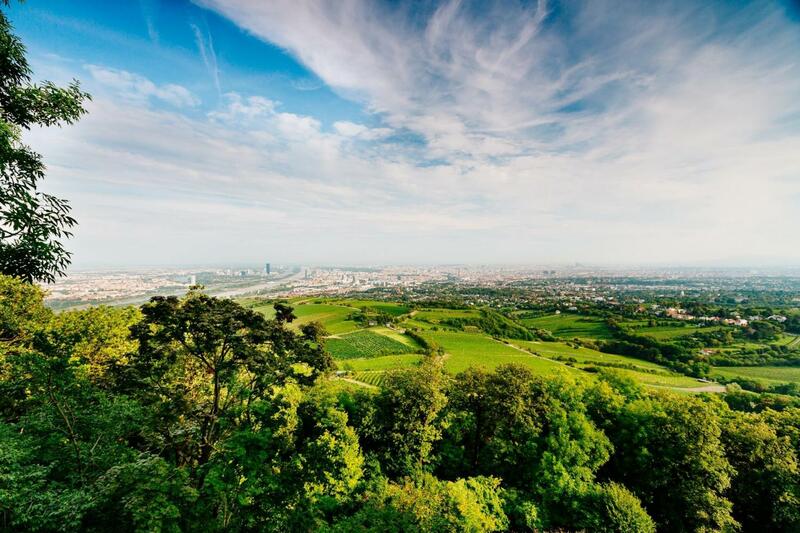 Don’t miss this view of Vienna! With our comfortable bus we drive through the city to the surrounding vineyards. 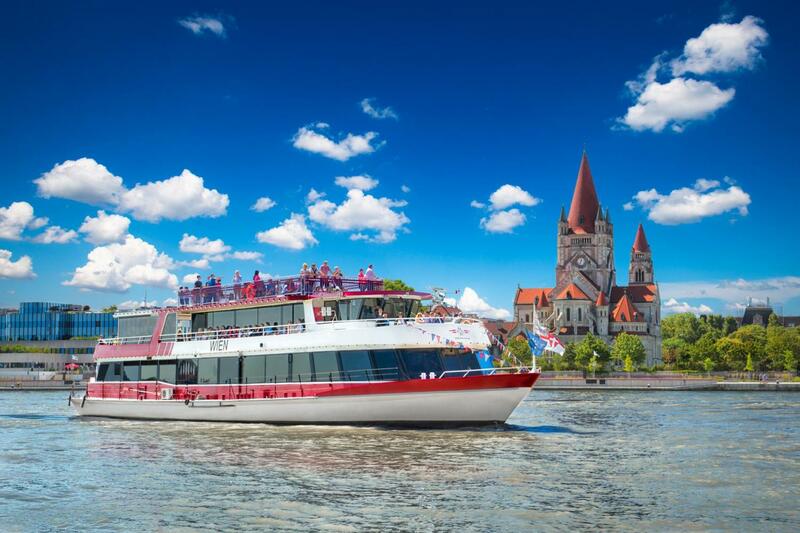 At first, we drive by bus through Vienna, passing many tourist attractions (such as the Hundertwasser House, the Giant Ferris Wheel and the Danube Tower). We then continue up to the hilly vineyards. 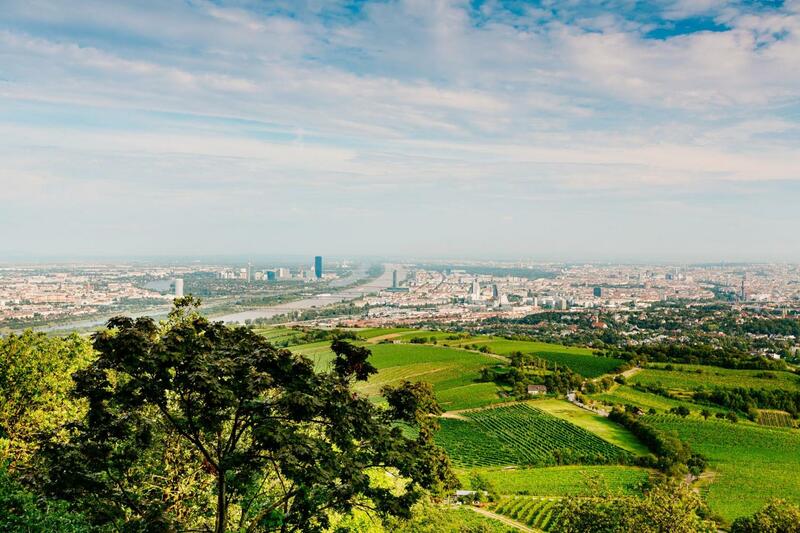 Enjoy a unique view from Cobenzl hill onto the city, before we proceed on a relaxing boat ride on the Danube. 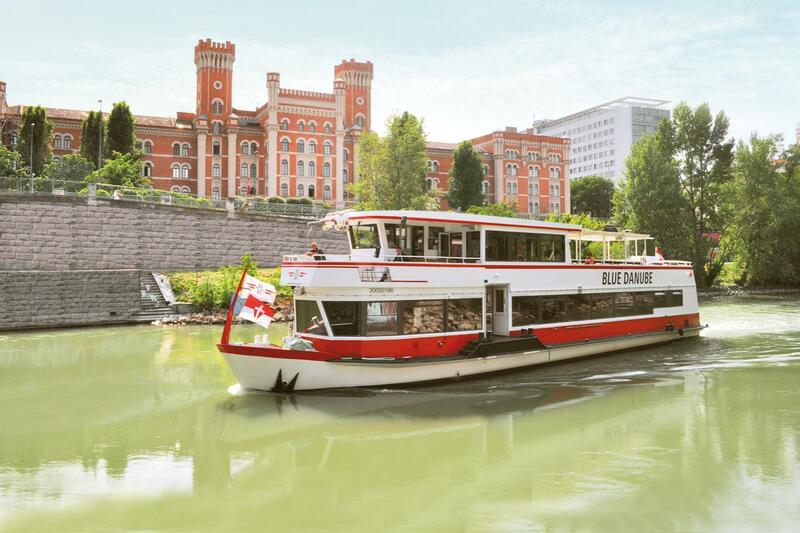 Also included in this trip is a boat tour along the Danube river and the Danube canal. There you will see the historical side of Vienna. Our Danube Panorama Tour ends at Schwedenplatz.